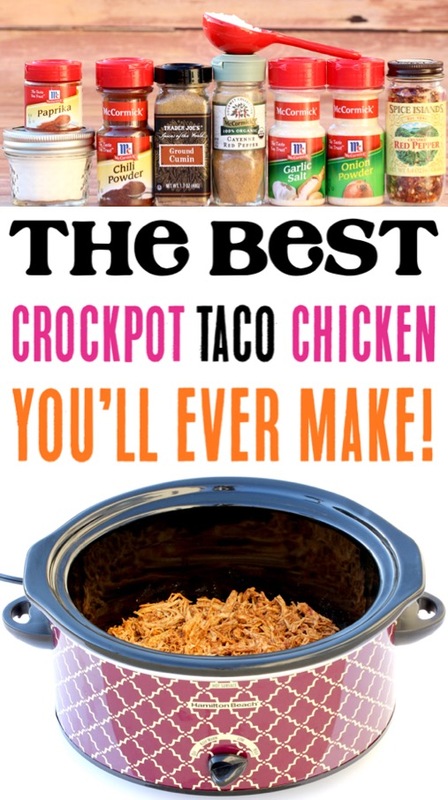 This easy Crockpot Chicken Tacos Recipe is going to serve up some serious chicken taco fun tonight! Tacos are way too much fun for just Tuesdays! Let’s splurge and do a Taco Tuesday today and any day we want!! 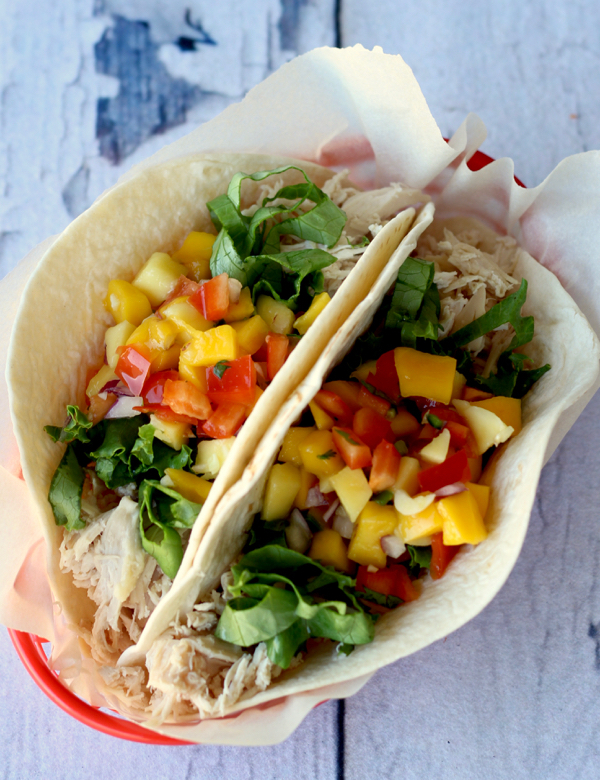 This flavor-packed Crockpot Chicken Tacos Recipe is off-the-charts delicious. 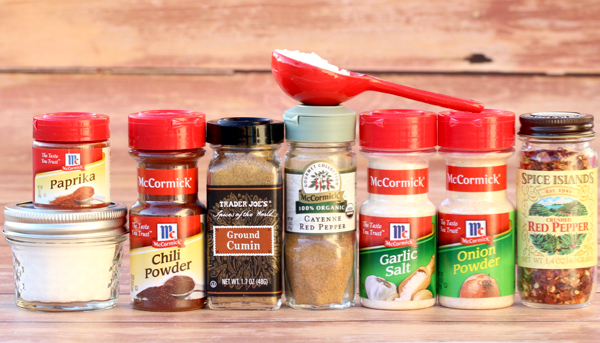 The Homemade Fajita Seasoning adds the flavor your chicken dinner has been craving. It’s the perfect chicken taco meat recipe to serve as crowd control for all those hangry tummies at your home. Are you ready for some crave-worthy chicken tacos tonight? 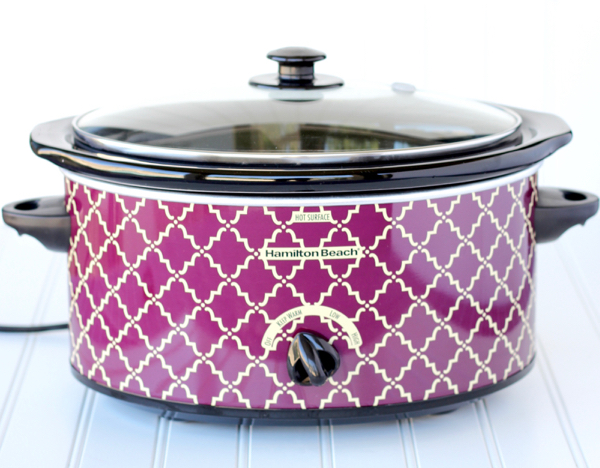 Easy Crockpot Recipes to the rescue! Learn how to get Free Grocery Gift Cards so you can buy your dinner ingredients for FREE! 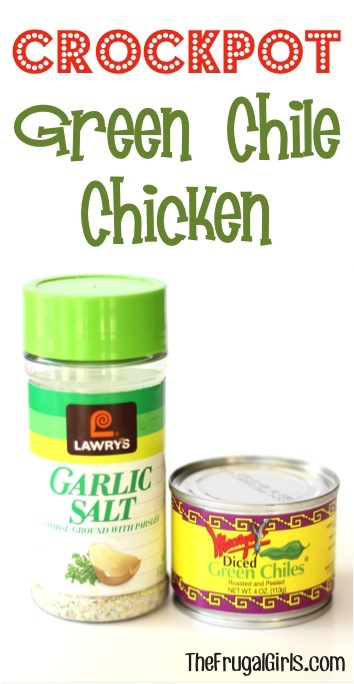 Place Chicken Breasts in 5 or 6 quart Crock Pot, and pour can of Chicken Broth over Chicken. Add Paprika, Chili Powder, Garlic Salt, Onion Powder, Cumin, Corn Starch, Sugar, Crushed Red Pepper, and Cayenne Pepper to small bowl, mix thoroughly, and set aside. 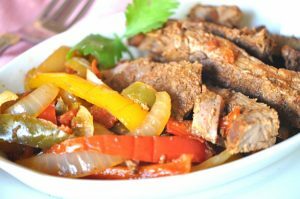 This is your Homemade Fajita Seasoning! 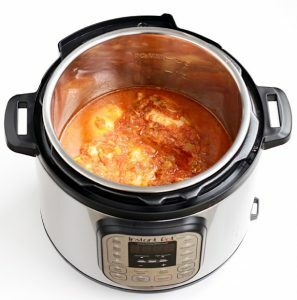 After 3 hours on HIGH or 6 hours on LOW, drain juices from Crock Pot. 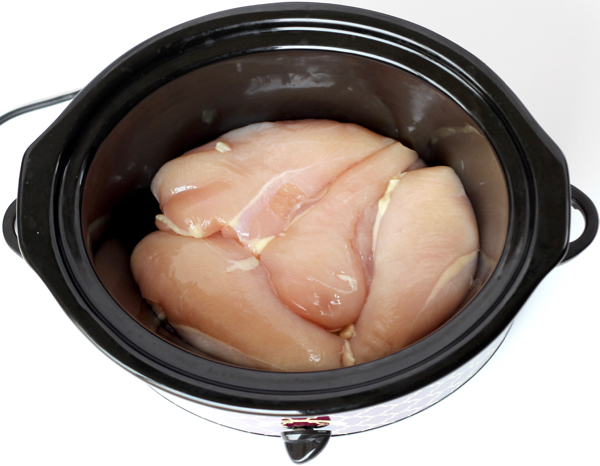 Remove Chicken Breast from Crock Pot and shred. 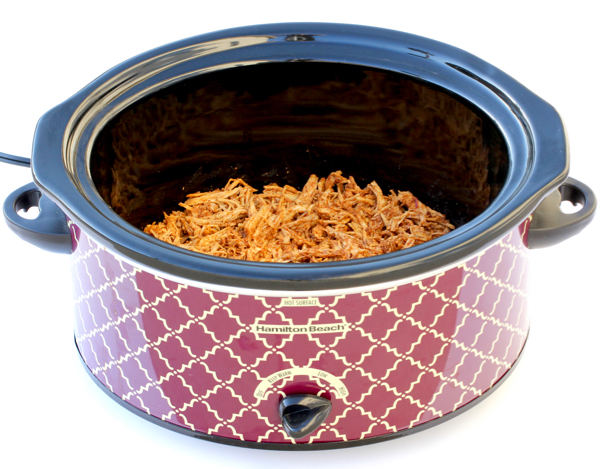 Then, place shredded Chicken back into Crock Pot. Add 1 & ⅓ cup of water to the dry fajita seasoning ingredients, and stir well. Pour liquid seasoning mixture over shredded Chicken, stir well, cover and cook for 10 more minutes on HIGH. Add to tacos or burritos and get ready for some crazy-good chicken! Optional: Top with Mango Pineapple Salsa to send them over the top! Are you ready for even more Healthy Chicken Recipes, and some totally crave-worthy Easy Mexican Dinner Recipes to try this week? 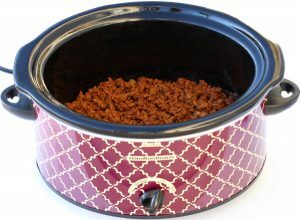 Make your Taco Tuesday dinner oh so delicious with this easy homemade Crockpot Beef Tacos Recipe! 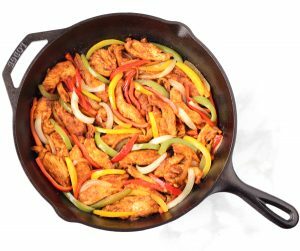 This easy Skillet Chicken Fajitas recipe is packed with fresh flavor and is sure to satisfy those hungry tummies! 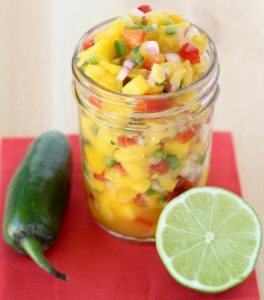 Give your Taco Tuesday a delicious makeover with this Fresh Mango Pineapple Salsa! It’s the perfect blend of sweet and savory! 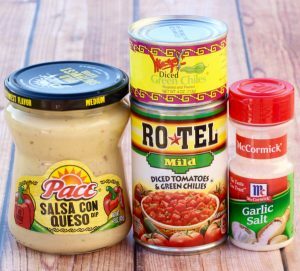 Remember to serve with your favorite tortillas and condiments such as cilantro, chopped tomatoes, shredded cheese, and my personal favorite Guacamole! It’s got all the flavors of a true fiesta celebration packed into one decadent entree! Are you ready for a little flavor invasion?? With the help of a Rotisserie Chicken, this delicious dinner comes together in a snap! 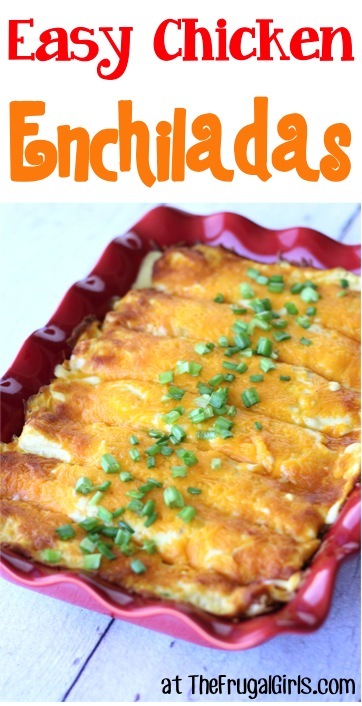 It’s definitely a family favorite at my home, and leftovers are rare! 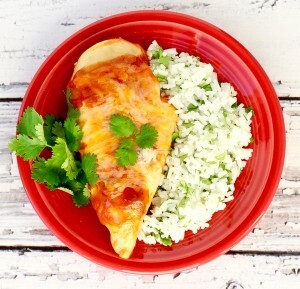 Your whole family will love the cheesy goodness this 5 ingredient Crock Pot Enchilada Chicken Recipe delivers! You’re going to love this Crockpot Green Chile Chicken Recipe… it’s so easy to make, and tastes delicious in tacos and burritos! This Instant Pot Salsa Chicken Recipe packs the perfect punch of sweet and savory salsa deliciousness! 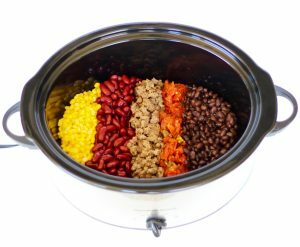 Add some flavor to your dinners this week with these yummy Mexican Slow Cooker Recipes! 10+ DIY Seasoning Recipes You Can Make at Home Right Now! Cut your grocery bill and save BIG with these DIY Seasoning Recipes. 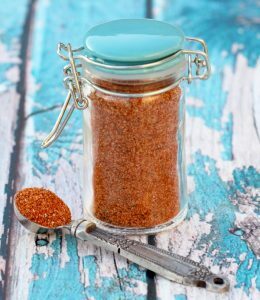 You’ll love these easy spices you can make at home!